Remember when you pulled into your driveway and thought your old garage door wasn’t looking so good? Well, time has passed, and that door isn’t looking any better. Before it starts malfunctioning, or breaks down completely, you should replace it with a new garage door from 31-W Insulation. We know that home improvement projects are investments, so we don’t make this recommendation lightly. In fact, we can confidently say that we offer Jacksonville residents some of the best garage doors on the market. One of our design consultants can help you choose the options that will best complement your home. After this free consultation, our factory-trained installers, all of whom are our trusted employees, will install your new garage door with expert precision to ensure that it operates smoothly from day one. To give you peace of mind in our work, we offer a one-year labor warranty, and that’s on top of the limited manufacturer’s warranty that covers our garage doors. 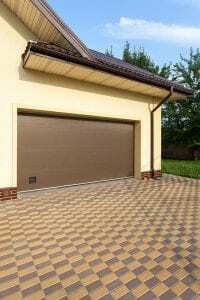 For more information about the garage doors we offer Jacksonville residents, contact 31-W Insulation today.